The babies born, worldwide, this month, will be equal in number to the total population of Portugal. Those dying between October’s first and last days will be equivalent to all those who call Norway home. The difference between the two is around 6.4 million people or, if it makes it easier to compute, everyone living in Libya. That is the number by which the human race will have grown during October’s 31 days. It’s an astonishing figure, but here’s another. Before this month is out, our planet’s population will have grown to seven billion for the first time. Seven billion! Think about it for a moment. You might not realize it, but with each minute that passes, 267 people enter our world and 108 others leave it. That means that, on the assumption that you spend five minutes reading this blog post, by the time the last line is reached, 1335 new lives will have been created. In those same five minutes, the world’s population will have increased by almost 800. That’s 800 each and every five minutes, and the rate is increasing fast. You see, in 1805, about the time that Thomas Jefferson was sworn in as President of the United States for a second term, the global population had just reached one billion. Breaking the two billion barrier took a further 122 years, but since then, the pace of growth has been rising in an ever-more rapid manner. It turns out we passed three billion in 1960, four billion in 1974, five billion in 1987 and six billion in 1999. Between the sixth and seventh billion, there have been just 12 years. It is the culmination of a remarkable transformation in fortune for the human race because, around 20,000 years ago, during the last Ice Age, Homo sapiens came close to extinction, our numbers down in the tens of thousands, our status then comparable to that of the orang-utan now, in other words, the species endangered. Back then, it has been calculated there were around 1650 square miles for each person on Earth. Nowadays, we have to make do with a mere 0.008 square miles. These facts and figures tell us two things here in our studio in Saunderstown. Firstly, it’s going to start to get crowded out there. Secondly, we’re going to need to make more OMs; a lot more. 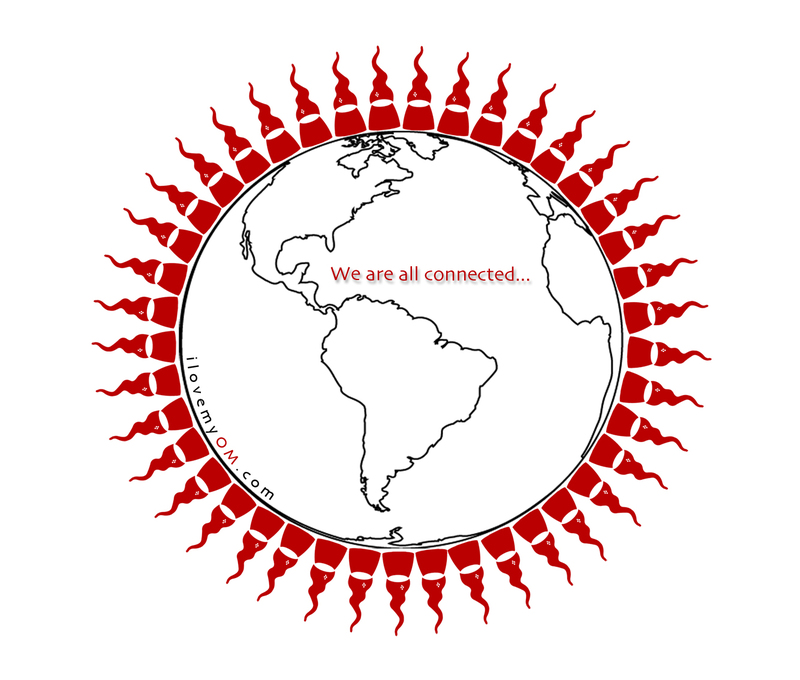 You see, if our mission is, as we say, to connect the world one OM at a time, this is a highly-significant development. More people? More OMs. It stands to reason. So it’s back to the studio, time to crank up our efforts, for populating a planet OM-style takes time. It’ll give us time to think, for behind the humour lie some serious questions. Can, for example, our planet and its dwindling resources continue to sustain such rapid growth? Present forecasts suggest that the population will reach the nine-billion mark by the middle of the century. It is clear that challenges lie ahead and, at present, not even the experts have the answers. Too many people chasing too little food, war, famine and pestilence, an increased terrorism threat, civil unrest and conflict, these are amongst the gloomier issues undergoing serious discussion at the Pentagon and beyond as a result of this subject. You see, already, in our world, one billion people have no access to clean water and a further two-and-a-half billion don’t have proper sanitation. That in mind, can adding even greater numbers to a population putting increasing pressure on a creaking planet ever be a positive thing? To most in the know, it seems not. One thing is certain, that if the issues outlined above are not to take a grip on our world, we’re all going to have to work together. You see, we’re all in it together, it’s our Earth, it’s all we’ve got and we have to look after it. That means looking after each other, joining together, showing greater compassion, promoting greater understanding and an increased tolerance towards all. For this, there can be no more fitting symbol than our OMs and the simple message behind them. That in mind, to everyone out there, our (almost) seven billion fellow Earth dwellers…..